Whatâ€™s in the box? See if you have enough points to get the Counter Strike Global Offensive Winter Offensive Weapon Case Base Grade Container for free today. The case could contain anything from the Five-SeveN Kami to a particularly rare special item. When you play games on Bananatic, you can amass vast points that you can go onto exchange for various valuable rewards. 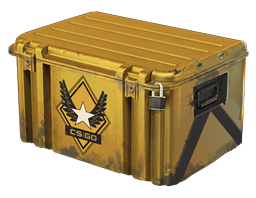 Even if you donâ€™t possess the points you need, you may still be able to get the Winter Offensive Weapon Case Base Grade Container for free via the Bananabet lottery.